Fee increases for immigration services are very common. In late 2016 USCIS raised the fees for several applications. USCIS is funded nearly entirely through these fees, so as their budget gets larger the fees must compensate for the increase. The costs associated with immigration filings are unlikely to decrease regardless of which political party is in power. Take this one example, in 1994 the cost of renewing a green card using Form I-90 was $75. After the most recent increase, the cost reached $455. Below is a table showing the history of fee increases to Form I-90. If you’re renewing for your family the cost can be very restrictive. A family of four is required to pay $2160 for the filing and biometric fees. To avoid the cycle of spending on green card renewals you should consider applying for citizenship through naturalization. American citizens do not pay anything after the naturalization filing fees. You can check your eligibility with our free eligibility quiz. If you’re eligible, starting Form N-400 is as easy as clicking this link. There are benefits to renewing your green card but citizenship also offers its own benefits. Deciding to wait on filing a Form N-400 will undoubtedly cost you in the long run. The table above shows USCIS has raised its fees multiple times every ten years so if you wait until your green card is expiring, chances are the fees for naturalization will be higher than they are now. The naturalization process is intimidating. 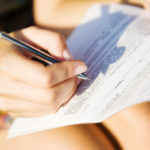 Many people admit being scared of filling out the lengthy application. FileRight.com is here to guide you through it. Start with some tips for completing your Form N-400. Naturalization cost too much. The cost of naturalization in 2017 is currently $725, green card renewal is $540. Saving for the extra cost will save you money in the long run. Fee waivers are also available for those who qualify. Naturalization is difficult. FileRight.com is here to guide you through the process. We have plenty of resources to help you through it. The naturalization application is complicated. We agree the current process is complex but with FileRight.com you can rest assured that you’ll answer simple, easy to understand questions and have the peace of mind you filled it out correctly. Check if you’re eligible. USCIS does offer fee waivers to those who can demonstrate they cannot afford a given filing fee. Waivers can be filed for both Form I-90 Renew or Replace a Green Card or Form N-400 Application for Naturalization. Applicants are required to provide evidence they are earning less than 150% of the poverty line. If you choose to file a fee waiver, it must be submitted along with your primary application such as Form I-90. Here’s a look at the latest poverty guidelines. FileRight.com makes filling out immigration paperwork easy. Find out if you’re eligible for citizenship. Don’t wait until fees increase again!